Are you trying to handle your tax problems alone? Have you had the misfortune to have been represented by now defunct companies like J.K. Harris, Roni Deutch, American Tax Relief, or TaxMasters? Unlike other tax resolution companies, Wall & Associates, Inc. uses its experience, expertise, and planning to aggressively negotiate on behalf of taxpayers until a settlement is reached that is sensible and affordable for its clients. We take pride in our honesty, integrity, and the hard work it takes to successfully resolve a tax problem. Wall & Associates, Inc. has been in business since 1982 and has been successfully growing each year due in significant part to satisfied customers referring others with audits, IRS issues that require settlement, and other tax problems. We represent individuals, businesses, estates, foreign taxpayers with US nexus and all others who owe taxing authorities. We have represented clients from all walks of life, including attorneys and CPA’s with their own tax problems. We receive referrals from lawyers, CPA's, enrolled agents, and other tax professionals. Wall & Associates, Inc. has saved taxpayers 150 million dollars. Wall & Associates, Inc. offers free face to face tax consultations at locations throughout the U.S.
Wall & Associates, Inc. employs a trusted team including Certified Public Accounts(CPAs) and Enrolled Agents (EAs) that focus on the most effective ways to use Federal and State tax rules to your advantage in settlement negotiations. A tax attorney is available to assist the team where necessary. This is not an offer for legal services. Wall & Associates, Inc. allows flexible payment arrangements with NO HIDDEN CHARGES. Wall & Associates, Inc. is authorized to practice before the IRS and other taxing authorities in all 50 states. Now, more than ever, it is becoming increasingly difficult for taxpayers to find competent and trustworthy tax dispute representation. 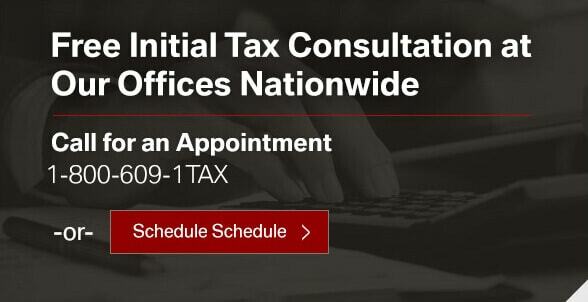 Let us begin to show you the difference in Wall & Associates, Inc. by offering you a free in-person tax relief consultation at one of our convenient nationwide locations. Call, click, or chat below to take the first step towards resolving your tax problem. “We would like to take this opportunity to express our thanks, gratitude and satisfaction with Wall & Associates… I was near to tears when I called, after being hung up on 3 times by Ronny Deutcsh (Roni Deutch) associates. The Wall associate was compassionate, soft spoken and comforting...we were very happy with Wall & Associates, and would be happy to recommend them to anyone. They delivered what they promised, when they promised, and our case was resolved to our satisfaction and relief.” ‐ Walter & Judy T.